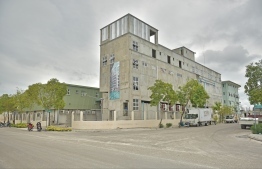 Two additional people arrested on Wednesday in connection to the MVR 2.7 million Ensis robbery. The two individuals, including one 25-year old female, were arrested under a court order, in the reclaimed suburb of Hulhumale and remanded for a five-day period. This is the latest in a total of eleven arrests made regarding this case, including the apprehension of a male found in possession of more than MVR 600,000 on September 6. However, it is unclear how many still remain in police custody. The robbery took place on July 31, while the money was being loaded into a company van after withdrawal from the Mauritius Commercial Bank branch in Hulhumale. According to Ensis, the money was snatched by two masked men travelling on a motorbike.